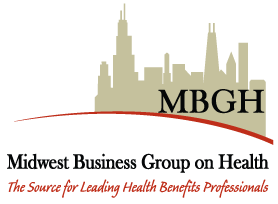 MBGH applied to serve as a Regional Leader to enable Chicago-area employers to have a vehicle to get involved with the patient safety movement. The coalition wanted to demonstrate to the local health marketplace the commitment of the purchaser community to quality and error reduction. Total number of general acute care facilities and total number of beds in region (i.e. total number of targeted hospitals): There are over 200 hospitals in the state. Close to 150 in the Chicago metro area, the remainder in small urban and rural communities.